When you remove millions of duplicates and fakes, 99.7 percent of commenters were against the repeal. Out of 22 million comments sent to the Federal Communications Commission last year, only 800,000 were both real and unique. This is according to a report by Stanford researcher Ryan Singel, who also found that those unique comments were—surprise—overwhelmingly in favor of net neutrality. A whopping 99.7 percent of those who took the time to write their own comments were for it. "The FCC did nothing to try to prevent comment stuffing and comment fraud, and even after the vote, made no attempt to help the public, journalists, policy makers actually understand what Americans actually told the FCC about the repeal of the 2015 Open Internet Order," Singel wrote in a blog post on Monday. 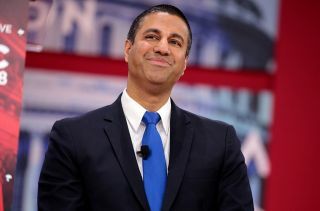 By analyzing the unique comments, Singel concluded that not only were the commentators educated on the topic of net neutrality, but also that individuals from both Democratic and Republican districts were in favor of it, especially rural Americans. The report does note that the 800,000 figure leaves out a large number of pre-written, real comments filed to the FCC through online campaigns, but nevertheless shows that support for net neutrality is bipartisan. The US Senate did vote to overturn the FCC’s ruling back in May, but the House has yet to vote. This delay has caused some states to sign their own Net Neutrality protections into law or introduce legislation with the hope that it will become law. For more, see our recent breakdown of where we're at with net neutrality in the US today.